Pakistan Navy (PN) has taken up various socioeconomic projects in coastal areas of Balochistan, with the sole aim of empowering youth through education and to bring them at par with the rest of Pakistan. One such step in this direction is the establishment of Cadet College Ormara (CCO). 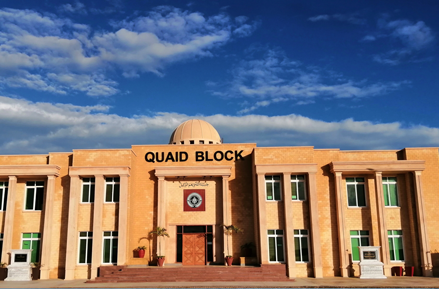 The foundation of Cadet College Ormara was laid on 12 June 2012 by former Prime Minister of Pakistan Mr. Yousaf Raza Gillani. The college started its academic session in April 2013 by the joining of a batch of sixty cadets, with hope and conviction that by the passage of time, this institution will become synonymous to quality educational institute for the coming generations. The basic cause to establish this institution in the city of Ormara was to bring the light of education to this remote area of Balochistan and provide equal opportunities to the youth and to make them capable enough to compete with not only the rest of the country and but also the world.